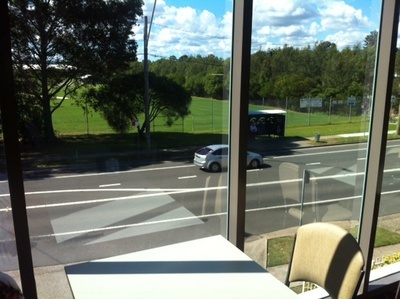 This club is in walking distance from Seven Hills train station. From the outside the club doesn't look like much and when you see the carpark, it's a mess and very dark and narrow. But when you get out of your car, take a look at the land they are building on - it's huge. This club will be one of the biggest in Sydney soon. This RSL club has friendly staff, great food and good prices. The club is going through a massive renovation and is already starting to look amazing. The previous time I had visited this club, they had a large children's playroom with heaps of ride in toys like the ones in shopping centres. Kids were having a great time in there but it was very hot. Last week I visited this club again and this was gone but a lovely staff member told me that they would be building a new children's area. He showed me a back room that they had just been built, it had gorgeous dark brown leather lounge chairs all around it. They have created this beautiful calming atmosphere in these new spaces, including lovely wall designs. When you first enter the club, don't be put off by its 80s vibe. As you walk in from the car park, the club's name is lit up on a huge neon sign. 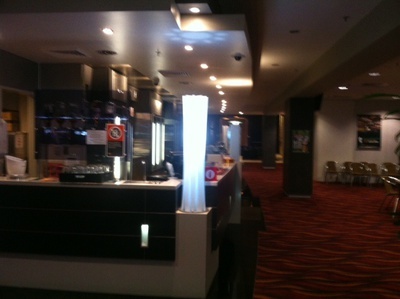 As you walk in, you'll see carpet similar to what is in movie theatres - black with bright coloured lines. Even on the ceiling there are neon shapes that are lit up and reflect onto the marble glittering floor. The kids love it, but I am sure that will all be gone. The upstairs theme is modern and classy. As you head upstairs, a gorgeous chandelier hangs right above you. 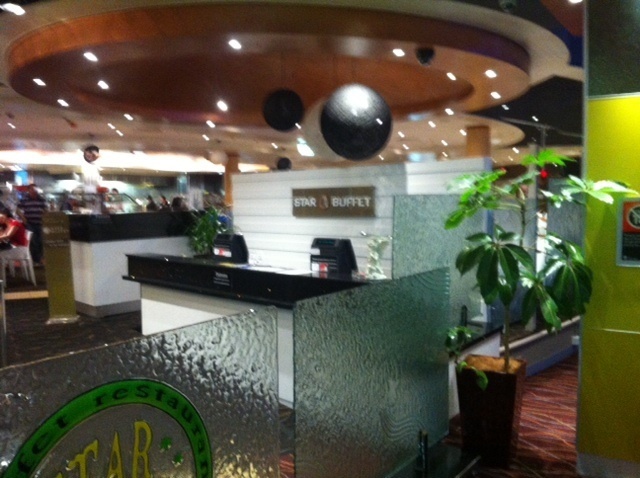 Once you are at the top, you will be in front of the 'Star Buffet', yes, a real buffet! Better than the ones that Pizza Hut used to have and better than Sizzler - this buffet really is huge. They have fresh seafood, an entire sushi train, every meat you can think of, a salad bar and of course, a dessert bar. Last time I ate here, the dessert bar had a big chocolate fountain that you could dip a marshmallow on a stick into - so yummy. There are not many buffets left anymore and this would have to be the best I have seen. The prices aren't bad either. As you can imagine this buffet gets packed, so be prepared to get there early and line up - it is well worth the wait. The buffet is open for lunch Monday to Friday 11:30am-2pm, Saturday and Sunday 11:30am- 2:30pm and for dinner Sunday to Thursday 5:30pm- 9:00pm, Friday and Saturday night dinner buffet is open from 5:30-10:00pm. Bookings are taken for groups of twenty or more by phoning: 9622 9690. There is something that everyone would enjoy and that's why it's great to take a large group here or your family also on a Monday dinner buffet, as kids eat free. If you prefer a quieter setting or a lighter meal than the buffet, Cafe Maze is also really nice. They have food specials on each day of the week and they have only recently just put up a new menu. They also have a coffee and cake special and the cakes really do look amazing - it's hard to choose which one you want. Check out the blackboard because other specials will be up there too. The staff were really nice and gave my son a little show bag with monster truck stickers and colouring in activities; this was perfect to keep him entertained while we waited for our meal. 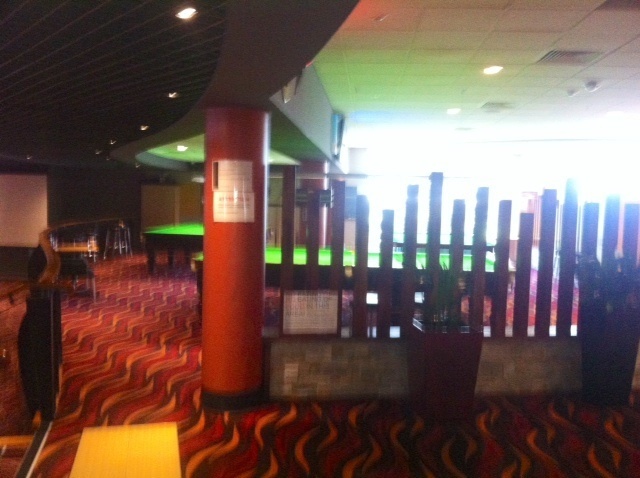 At the moment they have three Billard tables available in the adult's area, a few large screens to watch the footy, golf, cricket, tennis and pokie machines. 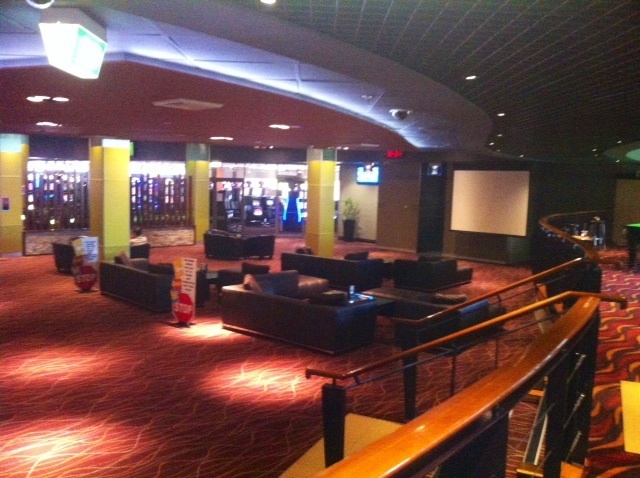 If pokie machines are your thing then this is the place for you, as they have plenty of them located right next to the Star Buffet. Of course, there is also Club Keno. Another big draw card of this place is the bingo. They have bingo on five times a week here and you can win up to $800 in cash prizes! Bingo is on from 10:30am on Mondays, Tuesdays, Thursdays and Fridays but don't worry if you can't make it in the day, they also have bingo on Wednesday nights at 7pm. They of course have the usual member's raffles and birthday draws, they even have poker. High Roller Hold'em poker is held on Monday nights at 7pm, with $150 club cash to be won each week and the grand final winner will get $400 cash. The RSL also has a travel club you can join, where you are taken to different places to try different foods there. 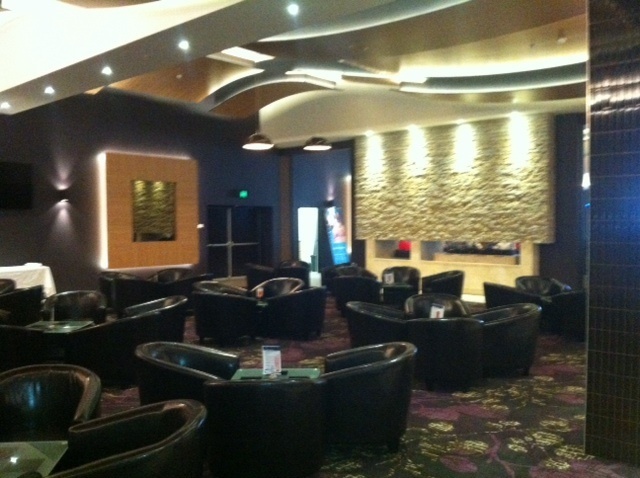 They have several bars which are done up very nicely including a sports bar. They also have regular entertainment, including free live entertainment every Friday and Saturday night. The toilets are really nice and modern too. You can tell that this club will be amazing when the renovations are done; these renos are costing $10 million. At the front door to the club they have up a planning poster on what the club will look like when the renovations are all done - it looks very impressive. It will include three separate lounging areas, an outdoor gaming area, including a terrace, big meeting room and a modern, big children's playroom. By being a member of this club you will also have access to Fox Hills Golf Club and Blacktown City Bowling Club as these are all owned by this club. Of course, you also then get member discounts on food and drinks. Check out their website to find out more information and to find out about Anzac Day activities, see you at the club! Why? 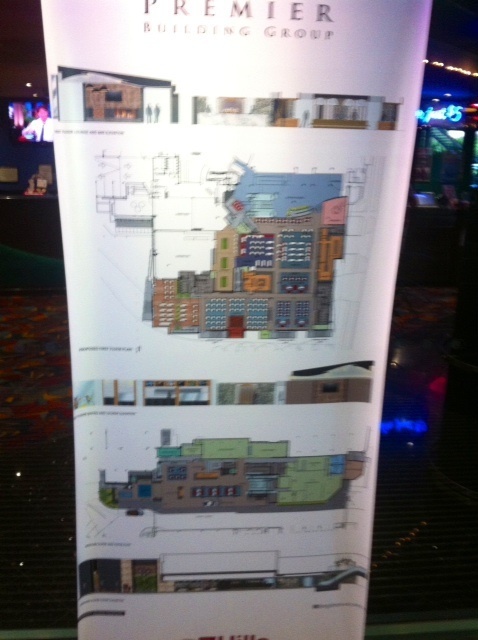 A buffet, bingo, free bands and comfy lounges; what more could you want. Cost: Membership is $5 per year, live entertainment free, buffet is $15- $20.